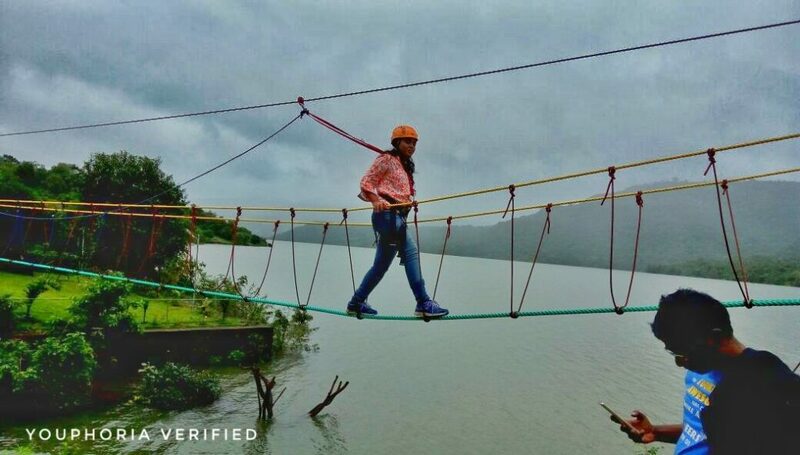 Youphoria Hospitality & Outdoors can teach you to walk on mid air, now most of you think what is it they are talking about? and yes! it;s an adventure which can made everything easy and brought to life. 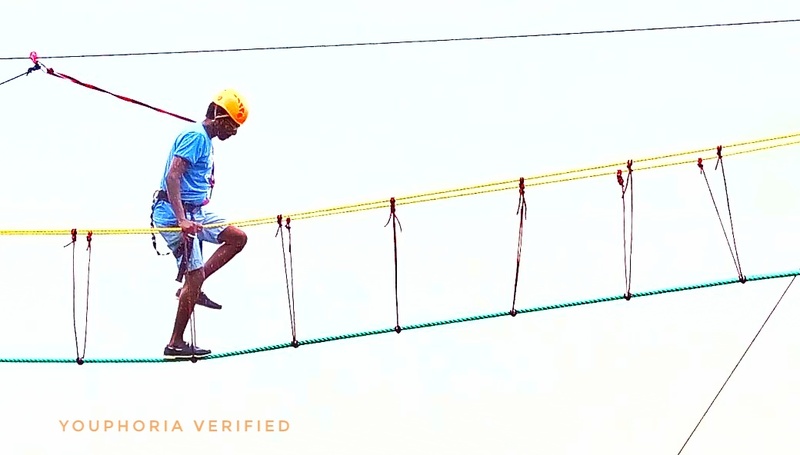 We are talking about Burma bridge it let you walk on small bridge with rope, Burma bridge comes in two formats 1)with rope attached to 270 degree and upper part is to keep you extra safe with harness. 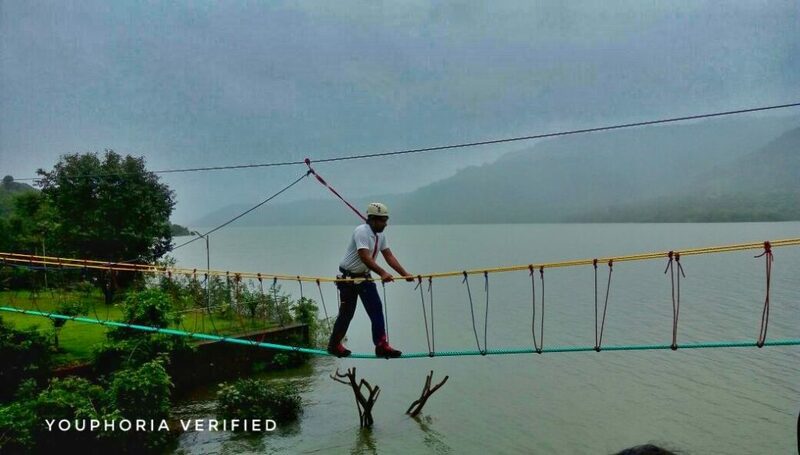 2) Another form of Burma Bridge comes with bottomless Burma which has less ropes to the bottom to be precious only one rope it attached to bottom and two ropes to keep your hands on which helps you to walk and top rope with safety harness. It’s a heavenly experience to walk on above ground level. 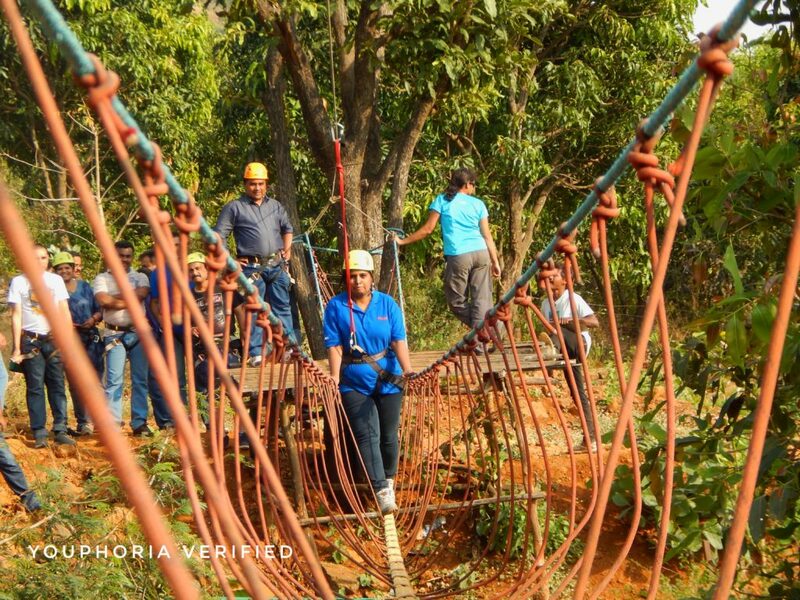 Take extra precaution when you are on it, and let the instructors do their job while harnessing the safety belts and listen to the instruction carefully.